With a range of WILD LIFE Hamilton Island gift vouchers available here, you can please the animal lover in your life! 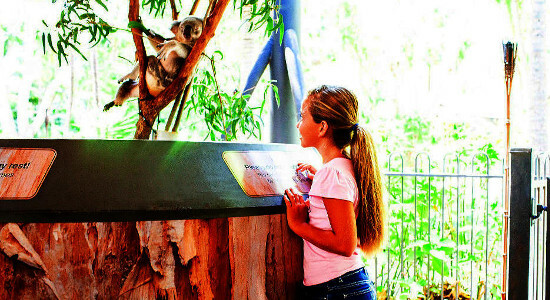 Choose from general admission to this much loved wildlife park, or spoil a lucky other and give them the gift of a Breakfast with Koalas experience. Being one of the only states in Australia that allows koalas to be hold, the recipient will love the chance to cuddle up to one of these beautiful Australian icons. WILD LIFE Hamilton is home to a number of weird and wonderful creatures including kangaroos, crocodiles, snakes and more! For a great way to celebrate an occasion for the young or old, this is it. Browse the selection of vouchers below and take your pick. Purchase a gift voucher for general admission to the much loved WILD LIFE Hamilton Island and spoil the animal lover in your life. More info here. Spoil a friend or loved one with a gift voucher for an incredible Breakfast with Koalas experience at WILD LIFE Hamilton Island. Purchase here.